To assist Technip with structural engineering services to execute the subsea installation scope of Chevron’s Wheatstone project. Cube was engaged to design temporary structures and rigging to facilitate safe installation of subsea equipment. Analysis was required to confirm loads and structural integrity. Cube Offshore generated designs for and analysis of the following items. 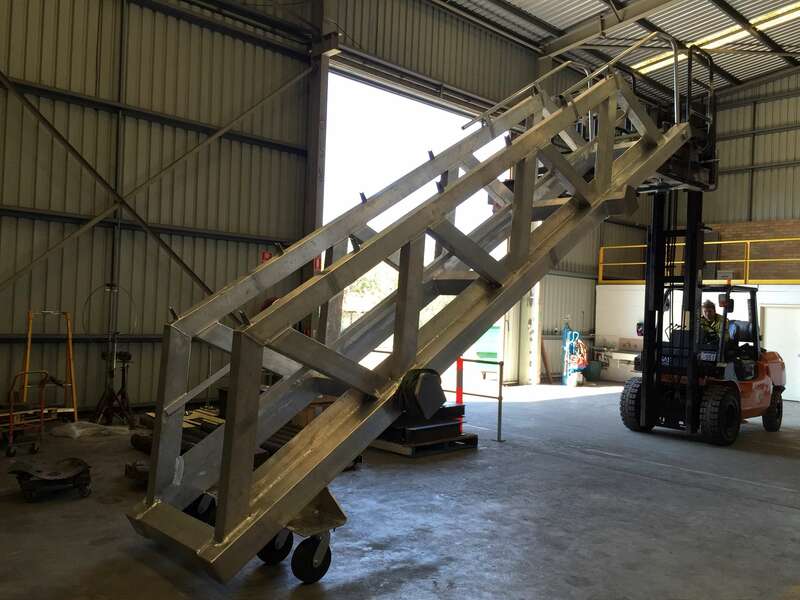 Aluminium Gangway for safe personnel access to barge offshore. A hinged and rotating design was required. A HIAB Crane foundation. The HIAB crane deployed and handled the aforementioned gangway. An interface frame to connect and support to Control cabins. Subsea and Offshore Rigging designs for items above. Seafastening design for the items above. The work scopes above required significant collaboration with Technip engineers – both project and structural.